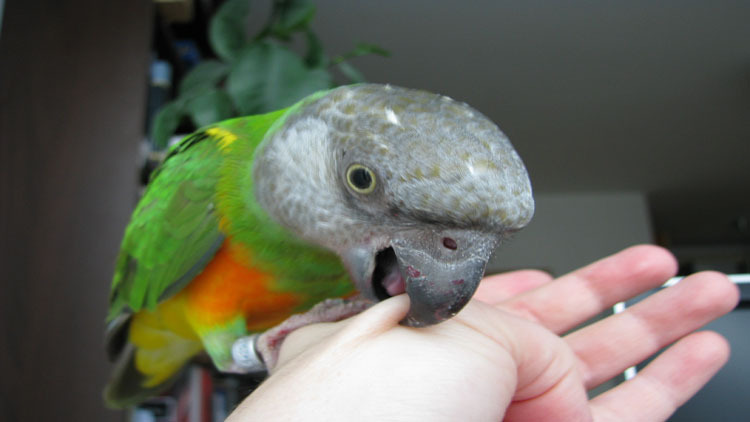 As is the case with all pets, owning a parrot comes with advantages and disadvantages. It is important to consider both sides of the coin before you decide to get a pet parrot for yourself! Parrots are obviously very beautiful and intelligent. Parrots can be trained! For a bird, they have tremendous memories. There have been studies with the African Grey Parrot that proved some are able to know the meanings of words and make simple sentences. Parrots have personalities of their own; each one will be different from the other. It is intriguing to learn about their personalities and you would enjoy your time getting to know what they like, what they can learn, and all their quirks. Parrots have a long life and it is not unheard of that they can live 20 years or more. They can be trained, but you will find it easy to see that they cannot be fully and completely tamed. Parrots are wild birds and the wildness factor of their personality will show up at some point. Parrots need a lot of time and attention. You simply cannot leave them alone for long periods. In fact, parrots may start screeching and pulling their own feathers out if they are extremely bored. Parrots can be moody. Apart from the increasing hormone issue as they get older, they also can display strong likes and dislikes to people. Parrots are not the cleanest birds. They require large cages and time out of the cages to fly around and exercise their wings. If they don’t want to be caught to return to their cage, it can be very trying and time-consuming.